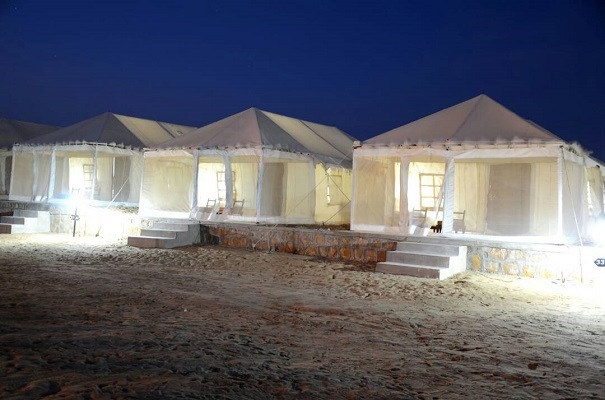 And they also arrange desert safari tours like camel safari, jeep safari etc. 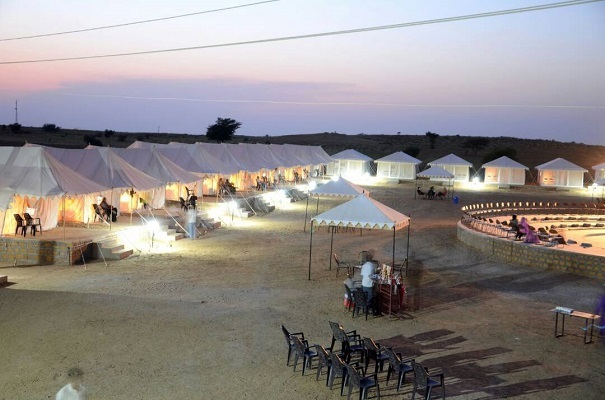 We have rated Rajputana Desert Camp as value for money camp as the fare for one-night stay & activities here starts at Rs 3000 which is a good price to enjoy one-day desert tour at Sam, Jaisalmer. Another unique point of Rajputana Desert Camp is that it’s a bit away from other campsites which is a plus point for them. As their guests won’t complain about the music coming from other camp-sites. 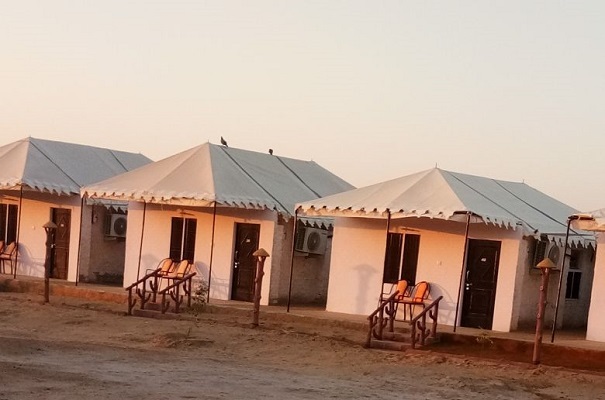 You can book one night stay at Rajputana Desert Camp by contacting them or contact us to arrange a Jaisalmer package inclusive of one-night stay & desert safari tours for you. 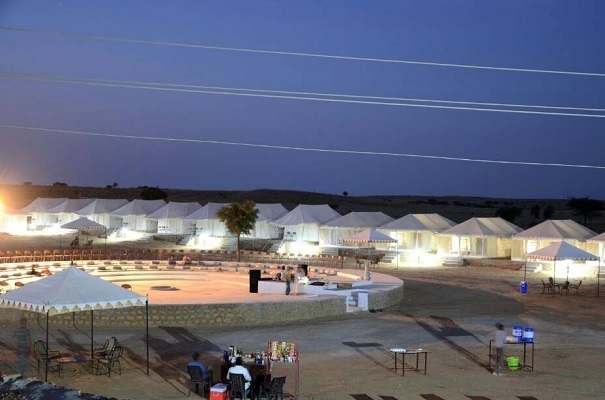 Rajputana Desert Camp is 45 km away from Jaisalmer city at Sam. To reach here you need to hire a taxi from Jaisalmer city, which we arrange. You can also ask the camp team to arrange a pick up too. Plus have a look at our Jaisalmer Tourism page to know more about tourist sites in Jaisalmer & desert area. 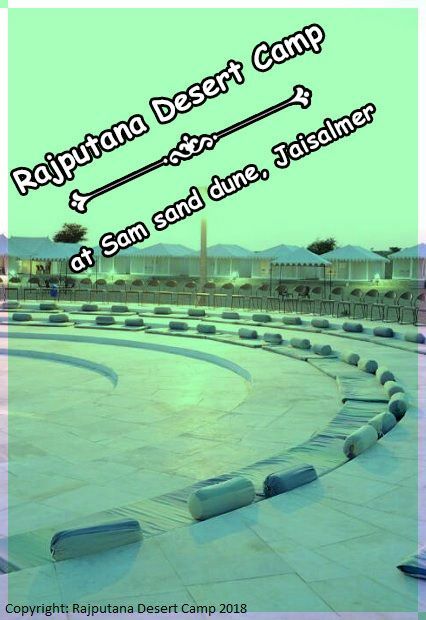 Rajputana Desert Camp is open from 1st August to 31st March. And the season dates are Diwali dates and 20th December to 2nd January. And the camp tariff in these season months are a bit higher than the above-mentioned camp tariff.